After discussing this very important topic"Family Relationships" you can give this test to your students who are in year 9-10 and check up their vocabulary, reading & writing skills. 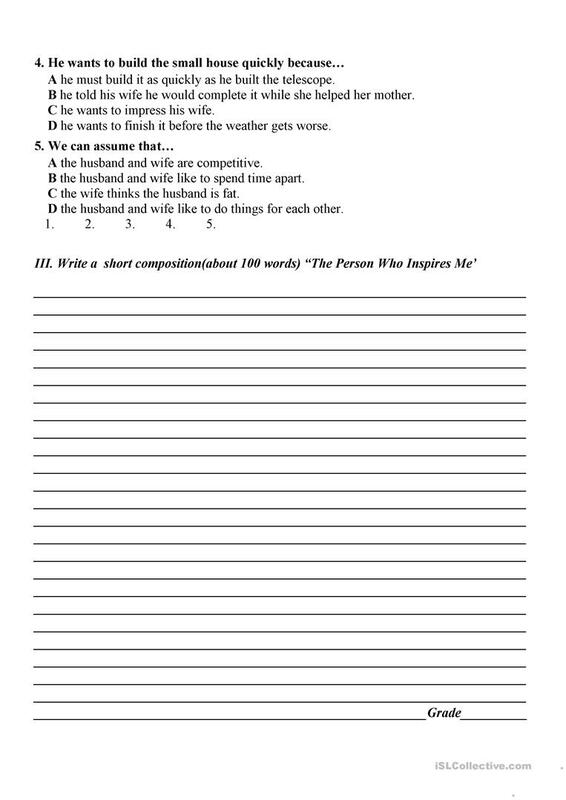 The above downloadable printable is meant for high school students at Intermediate (B1) level. It is useful for developing your groups' Reading and Writing skills. It is about the topic and words of Family.